This week has been crazy for us! We put in an offer on our first house, helped start a new company, and left for Costa Rica! Needless to say, we’re ready for some R&R! 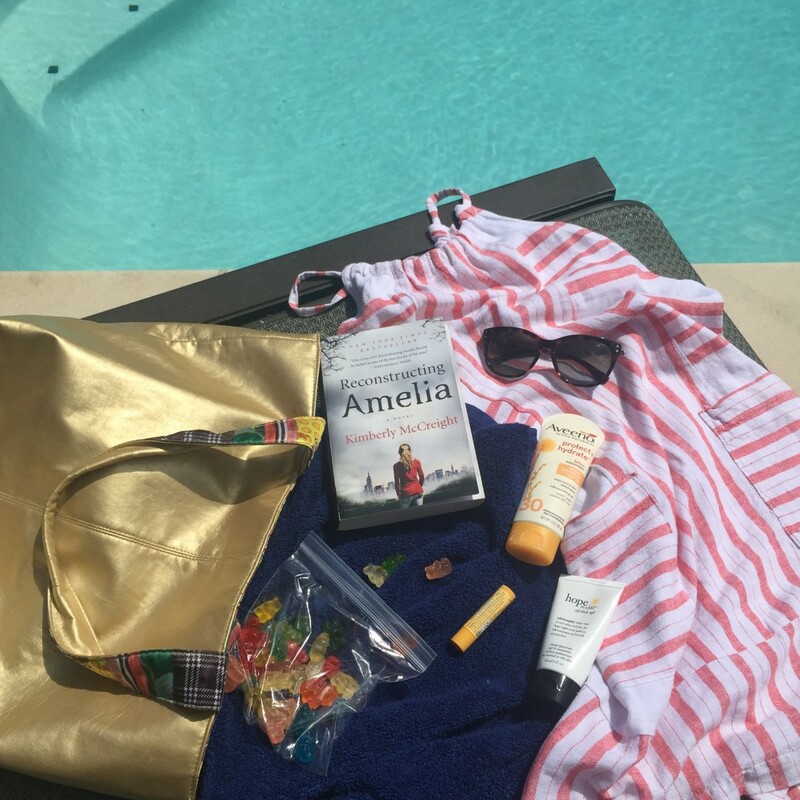 Today I’m stopping in to share what I always bring in my beach bag, whether it’s just to the pool or out to the beach. Even though I love a nice golden tan, I’m starting to see a few sun spots so I never go out into the sun without sunscreen on my face and body and these are my favorite two brands. If I’m going to be out for awhile, I also try to bring a book to keep me busy and some candy to keep me happy. I’m so excited to start reading ‘Reconstructing Amelia’– I’ve been saving it for over a month now and I’ll finally be able to crack it open tomorrow when I hit the beach. Do you have some summer reads you’ve been saving for vacation? Anything you have to bring with you to the beach?